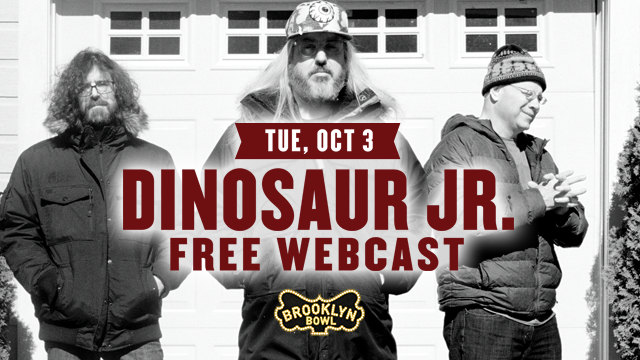 Dinosaur Jr’s upcoming show on Oct 3rd at Brooklyn Bowl will be webcast live!. In NYC?! Don’t forget to get your tickets for Monday, October 2 and Tuesday, October 3! If they are playing near you, take some friends or make some new ones there. This should be a fun tour.